Find out if your habits could be putting you at risk for oral cancer. Habits aren’t really things you think about much. You go about your day, sometimes just going through the motions and don’t really take time to think about how your lifestyle is affecting your oral health. 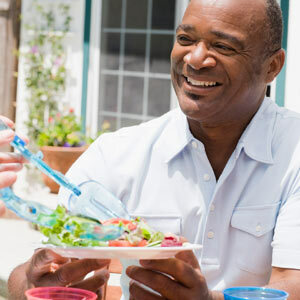 But perhaps you are finally thinking about it right now, more specifically how to protect yourself against oral cancer. Our East Hartford, CT, dentists are here to talk more about oral cancer, its risk factors and what you can do to lessen your risk. While tobacco and heavy alcohol use are the two main risk factors associated with oral cancer, it’s important to heed these warnings if any of these factors relate to you. Of course, it’s easy to get the screening and evaluation for oral cancer that you need by just coming in to see our East Hartford general dentist. There’s no need to schedule a separate visit (unless of course you are noticing symptoms or any changes in your oral health). An oral cancer screening can be performed during your six-month cleaning. It only takes a couple minutes and it’s painless. When you come in we will merely examine your teeth, gums and other soft tissue to look for lesions, sores and other signs of oral cancer. If you noticing any of these symptoms then it’s time you made an appointment with us. Don’t put it off. This visit could just save your life. Call Prestige Dental Network in East Hartford, CT, today to book an appointment that fits into your schedule.